An ultra removable adhesive backed polyester fabric. Features an opaque print surface that is water resistant and OBA free. 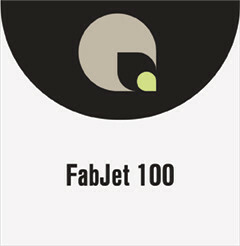 Fabjet 100 is made from 100% post-consumer recycled fiber.